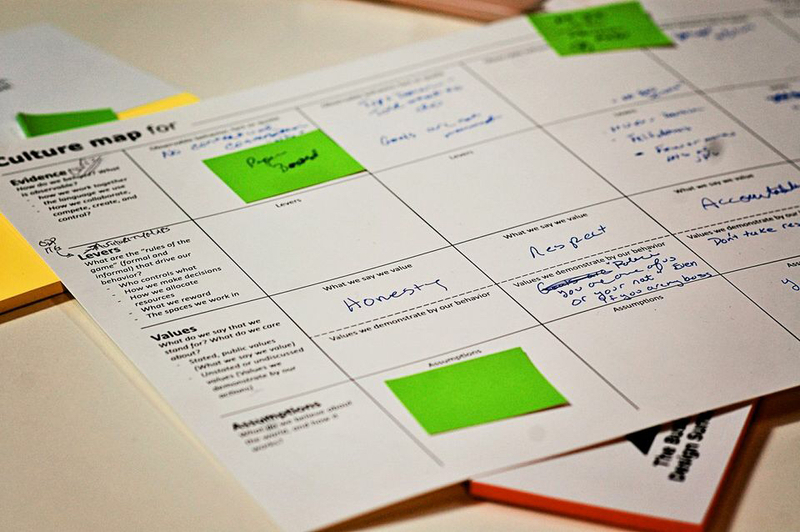 I deliver hands-on workshops on topics related to design, innovation and change. Each workshop is customized for its particular audience. Peter Drucker famously said “Culture eats strategy for breakfast.” Nobody denies the critical importance of culture to a company’s success. And yet, although everyone agrees that culture is of vital importance, culture still seems fuzzy, vague and difficult to grasp. Culture change initiatives are often well-meaning, but end up as a series of feel-good exercises. They create a feeling that progress is being made, but ultimately fail to deliver results. In this workshop you will learn about a new business design tool, called the culture map, which has been used by organizations around the world to improve the success rates of mergers, acquisitions, re-organization and renewal initiatives, new business launches, strategy initiatives and other important change projects. You will learn how to engage people in structured, evidence-based examinations of their current culture, including its strengths and challenges, resulting in an “as-is” map of your company culture. You will also learn how to create an aspirational “to-be” culture map, a kind of “culture vision” that you can use as a guide toward a more desirable future state. 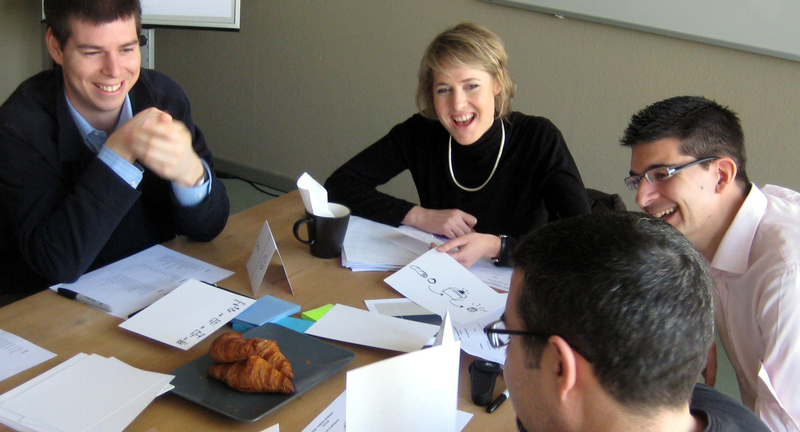 Arrange a workshop on Culture Mapping at your company. How do you turn your ideas into reality? How do you come up with ideas in the first place? What is the secret to creative thinking? The link between ideas and reality is visualization. Visual thinking isn’t just for artists. From Leonardo Da Vinci to Ralph Waldo Edison, inventors, scientists and innovators have used visualization to imagine, design and create the world as we know it today. If your ideas can’t be drawn, they can’t be done. Visual thinking is a vital skill for anyone who needs to create new ideas and designs, communicate those ideas to others, and collaborate with others to make them real. You may think you can’t draw, but you will find that you are wrong about that. In this workshop, you will learn twelve simple shapes that can be combined to visualize anything you can imagine. You will learn how to determine the best kind of picture to meet nine different, specific communication objectives. You will learn how to tell a visual story. You will learn how to visually construct and represent your ideas, to visually organize and structure them, and make them visually clear and explicit, so you can share them with others. Words may divide, but pictures unite. If it can’t be drawn, it can’t be done. So start drawing and learn to turn your ideas into reality! 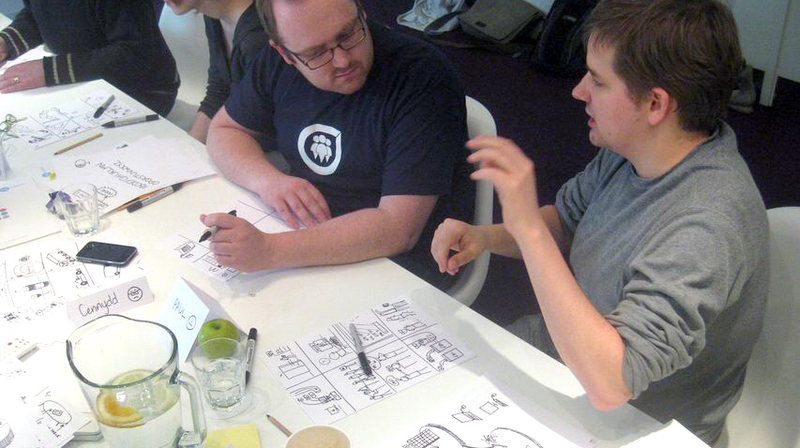 Arrange a workshop about Visual Thinking at your company. Does your workplace need to become more creative and innovative? Have teamwork and cross-functional collaboration become vitally important to your success? In today’s increasingly fast-moving business environment, individuals, teams, partners, and customers must learn how to work more creatively together. This kind of cross-functional, creative collaboration requires new skills and practices. In this workshop, you will learn how to increase engagement, collaboration and design thinking at work, leading to faster, better, insights and outcomes. 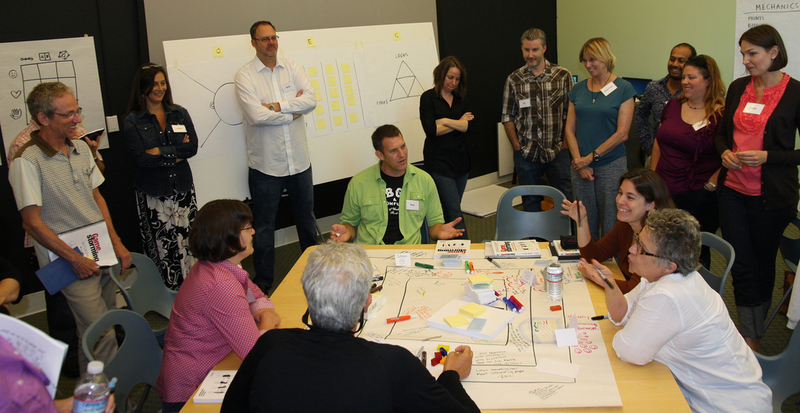 Arrange a workshop on Gamestorming at your company. The majority of change initiatives fail to achieve their goals. The primary causes given in most surveys are people issues, like resistance to change, management failures, and unclear communication. But what does this really mean? What it means is that people chose not to support the change. Leaders managed their bodies, but failed to win their hearts and minds. If people believe the basic premises behind a change, they will tend to support it. If they don’t, they won’t. In this workshop, you will learn about the art of the change agent: how to become more effective at changing yourself and your world. Whether you want to change your business, your family dynamics, or larger social and political issues, liminal thinking can help you get unstuck, improve your relationships, become more successful at initiating change, and more effective at creating your life. Why do people so often resist change? What is the relationship between beliefs, actions and outcomes? How do beliefs come into being? How are beliefs reinforced over time? What is required for people to change their minds and adopt a new belief? How can you get better at changing your own mind, as well as winning the hearts and minds of others? Arrange a workshop on Liminal Thinking at your company.